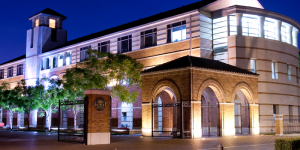 Home » Featured Home » The College Admissions Scandal—Could it Happen with MBA Programs? Earlier this month, dozens of people—including celebrities Lori Laughlin, William H. Macy, Felicity Huffman, and Mossimo Giannulli—were caught greasing the wheels in a major college admissions scandal. Parents funneled a combined total of $25 million through a college admissions consultant, William “Rick” Singer, to athletic coaches and test proctors, all with the aim of gaining admission for their children to an elite undergrad program. Undergraduate programs entangled in the scandal included Stanford University, the University of Southern California, Wake Forest University, Georgetown University, Yale University and others. We’ve seen the pressure and the hope of gaining admission to a top business school—so what’s to prevent fellow MBA applicants from gaming the system? Clear Admit believes there are several key differences in the MBA application space that make the “Operation Varsity Blues” type of scandal less likely. The view at Clear Admit is that what happened in the “Operation Varsity Blues” case is clearly repugnant and unethical. It is also sad and a little puzzling. This article on the recent college admissions scandal has been edited and republished with permissions from its original source, Clear Admit.